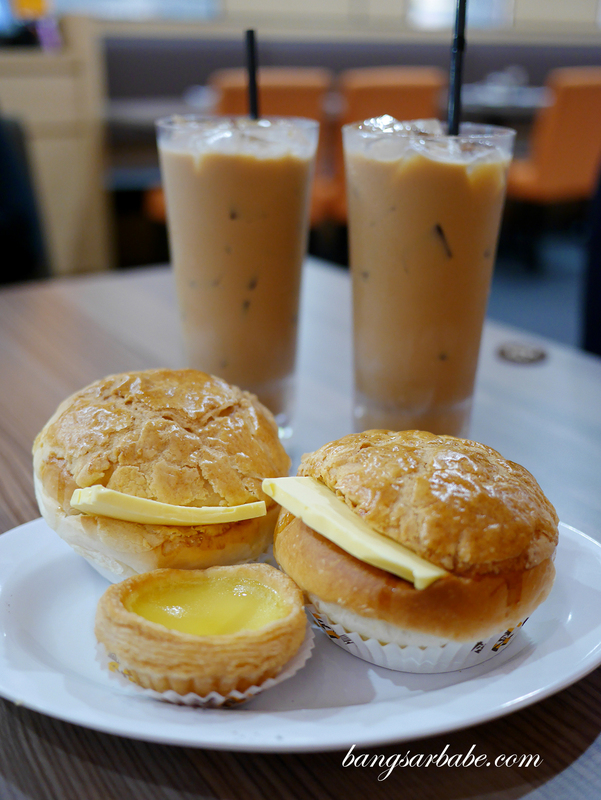 Honolulu Café is one of my must-visit spots in Hong Kong as the egg tart is one of the best I’ve eaten – buttery, flaky pastry with silken egg custard and an aroma that can entice one to call of their diet. I had a really difficult time restraining myself from ordering everything and my last visit was no different. 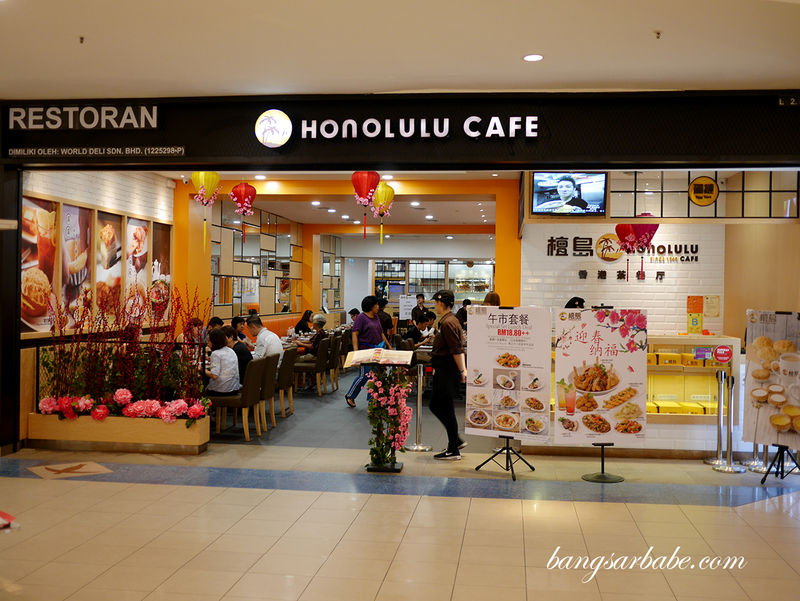 When I heard Honolulu Café was opening in Sunway Pyramid, I was thrilled because my job no longer requires me to fly to Hong Kong and it’s been more than 2 years since I sank my teeth into those delectable treats. But my joy was short-lived for the queue is said to be worse than the hoard of PRC folks at Louis Vuitton in Champ Elysees Paris. So I waited until the hype died down before paying them a visit. The place is relatively quiet during lunch on a weekday so getting a table was a breeze. Unlike Honolulu Café in Hong Kong, you don’t get the smell of baked items wafting in the air so that took away part of the excitement for me. Jien has been buying the egg tarts (RM2.95) for me over the past few months and they tasted pretty good after a few minutes in the oven. I feel the tarts are almost as good as the ones in Hong Kong; minus the delicious aroma of baked pastry to accentuate the experience. 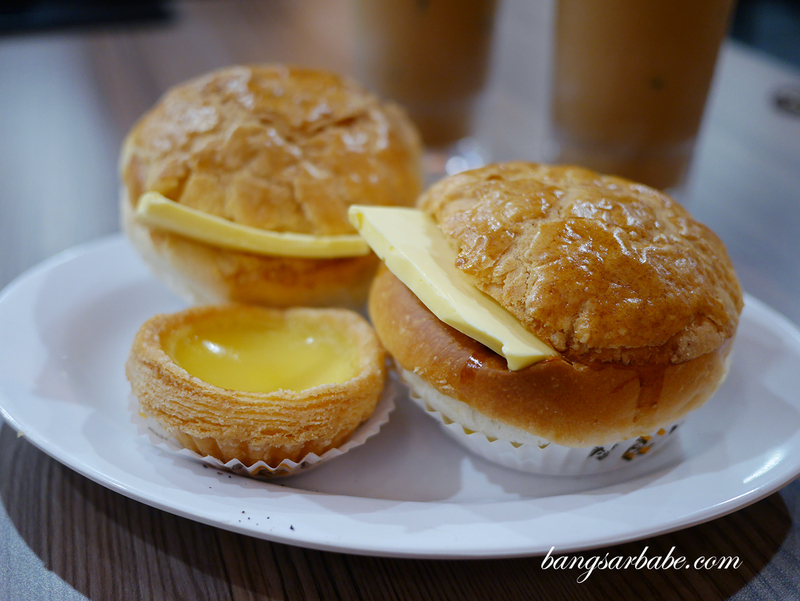 I didn’t like the Honolulu Bolo Bun with Butter (RM3.80) as it was missing a crisp crust. In place of that was a crust that was fine and crumbly, and the bun was too soft for satisfaction. It was as though I was eating a milk bun. The cut of butter given looked ample as it was situated where the bun was sliced. In reality, it was too scant be spread around the entire bun so in all aspects, this was disappointing. 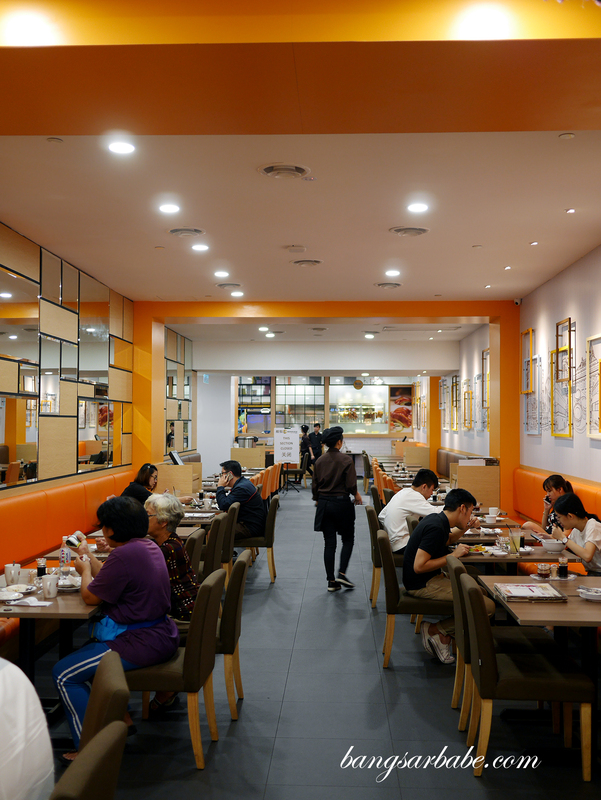 Four Roast Meat Treasures (RM44.80) gives you the option of choosing from their roast meat selection – we went for roast duck, siew yuk, char siew and soy sauce chicken. We liked the chicken best as both the meat and skin were well flavoured. There’s a smoky sweet aroma and savoury finish in this. The roast duck was average at best – there was no crispiness in the skin and the meat was slightly gamey. I didn’t care much for the char siew as it was too lean for my liking, but this is the way the folks in Hong Kong take their BBQ pork. Siew yuk was better but nothing worth shouting about if you ask me. We also tried their house specialty, Stir Fried Fish Fillet with Sweet Corn Sauce (RM20.80). Not something I’d recommend unless you like corn or fish dishes that are sweet. This tasted like fried fish, topped with thick corn soup. I found it rather bland. 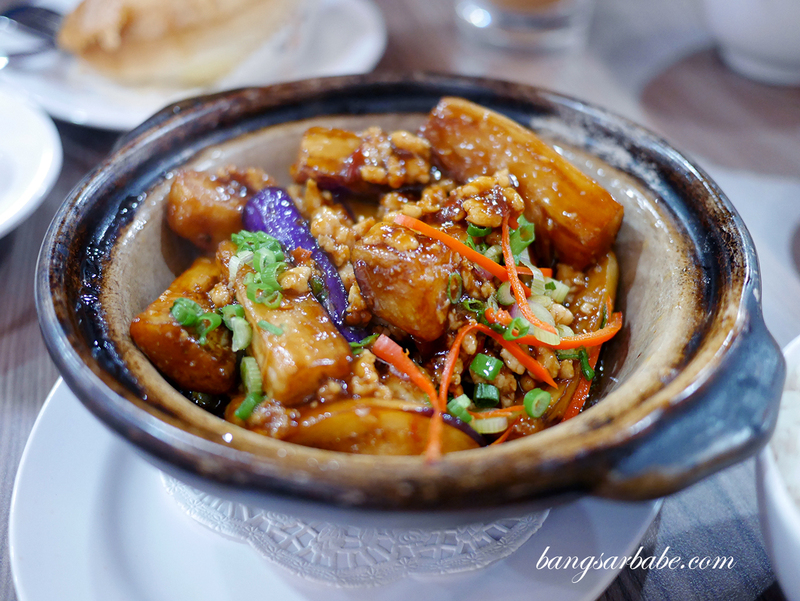 The Claypot Minced Pork with Eggplant (RM17.80) was decent but hardly a redeeming factor at Honolulu Café. 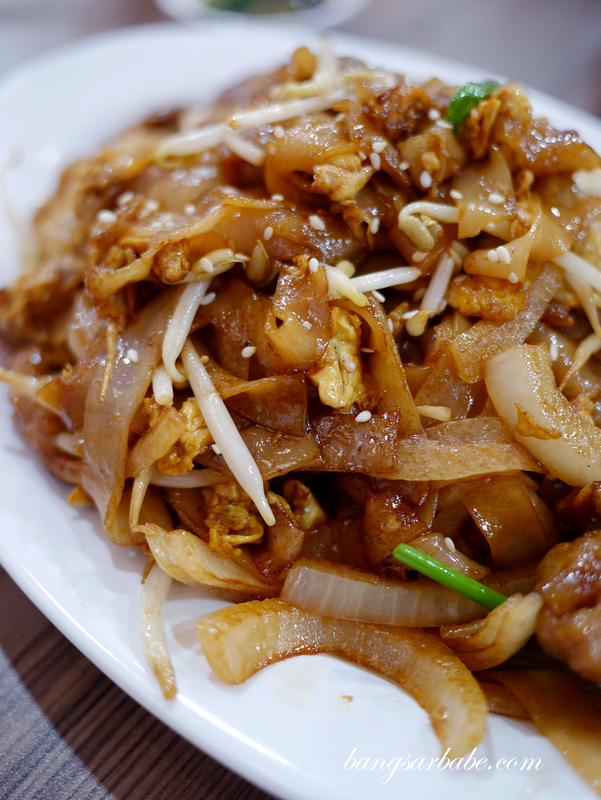 Granted the eggplant strips were tender and the minced pork was flavourful, the gravy wasn’t caramelised enough. Their redeeming factor is the Stir-Fried Beef Hor Fun (RM18.80) which I found more enjoyable than all the savoury items above. 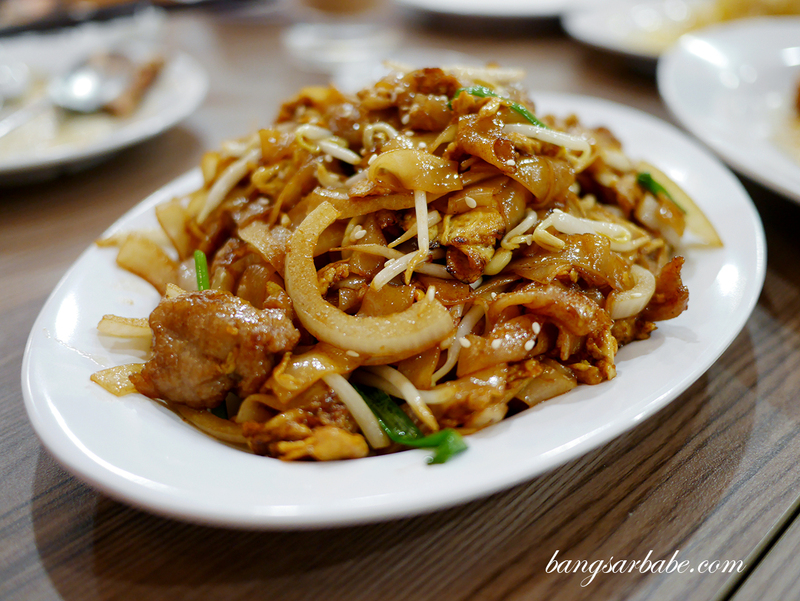 You get that dose of wok fire in the noodles and a tender chew from the beef slices. A bit of chilli oil is all you need to take things up a notch. 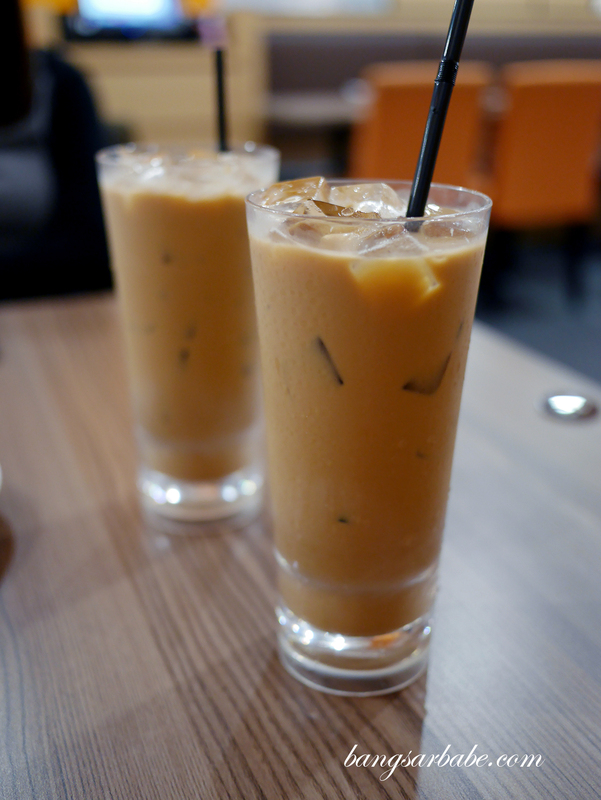 For RM6.80 per glass, the Hong Kong Style Milk Tea was diluted – lacking flavour and aroma from the tea and body from the milk. Our bill came up to RM150 for all the above which isn’t exactly expensive but certainly not the Honolulu Café experience I was looking for. That said, the egg tarts are good. Verdict: The egg tart and beef noodles are quite good. Other dishes were mediocre at best.